Comprehensive At-Home Urine & Bloodspot Test for 150+ Toxic Chemicals, Environmental Pollutants and Metabolites. 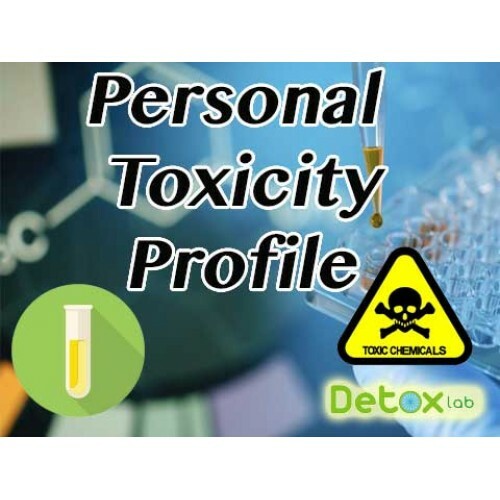 This Personal Toxicity Profile is the first of its kind, giving you a true picture of your body's exposure to dangerous chemicals. Mere parts-per-billion exposure levels to these hazardous chemicals can wreak serious damage on a person over time. FYI: THE GLYPHOSATE TEST WE OFFER SEPARATELY IS INCLUDED IN THIS TEST. The Personal Toxicology Chemical Profile gives you a complete list of the dangerous man-made chemicals and their metabolites which are in your system. This is done with a simple at-home urine and blood spot test kit. Follow to easy instructions and mail in the enclosed pre-addressed stamped envelope. 150+ different toxic chemicals are tested focusing Advanced Mass Spectrometry (MS/MS), to Part-Per-Billion. These include the major health destroyers Phthalates, dioxins, benzene, xylene, toluene, styrene, vinyl chloride, BPA, Triclosan, Nonylphenol, Furans, Teflon, PCB's, V.O.C. 's, PFOA's, PBDE's, organophosphate pesticides, Glyphosate, parathion, pyrethroid insecticides, acrylamide, perchlorate, diphenyl phosphate, ethylene oxide, acrylonitrile, and many others.